Family volunteering is increasingly popular with more and more intrepid families taking the plunge and heading off on an adventure of their own. We often get fantastic and enthusiastic feedback from parents, but what do the children think of it? 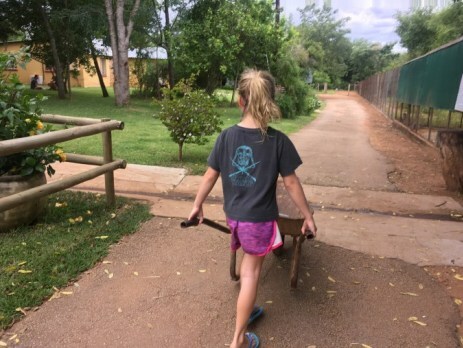 We have had the great opportunity to learn all about volunteering with monkeys in South Africa through the eyes of a child. “I bet you’re wondering how these monkeys get rehabilitated. I have already told you that it takes a lot of work and a very long time. I mean years! The husband and wife who own this center are experts at it too. I don’t know much, but I will try to explain what I know. I watched a load full of monkeys get dropped off the other morning. First, the monkeys go to quarantine. Then, after lots of monitoring and tests, they will get introduced into enclosures with their species. Then more monitoring and lots and lots of time. Next, they will be introduced into a natural and native enclosure. This time it is totally hands off! That means no human interactions but lots of monitoring!!! Finally, when a troop is strong, they will be released into the wild. It even that takes a long time and lots of monitoring. They will be released to a place that everyone agrees is good for them. Agreeing on the place takes a long time too. It has to be a safe place for monkeys to live! And the release is first semi wild into a temporary fenced in area at the location of the release and with lots more hands off monitoring. They have to be extra sure the monkey troop will survive on their on. Finally the gate will open on the temporary fenced in area and they will build natural bridges over the top of the fence and the monkeys will be free in the wild! After more time and monitoring, the fence is removed from the site. I was surprised how long it takes to find the places to release the troops. You can’t just release a bunch of monkeys anywhere! They have to be a strong family of monkeys to survive and the spot has to be safe with lots of things growing that the monkeys naturally eat PLUS water. That’s a lot of things to figure out! 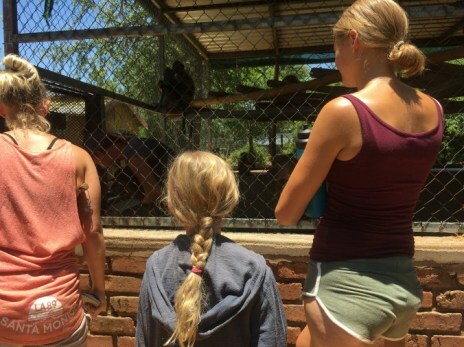 If you would be interested in family volunteering then check out volunteering with monkeys as a family.